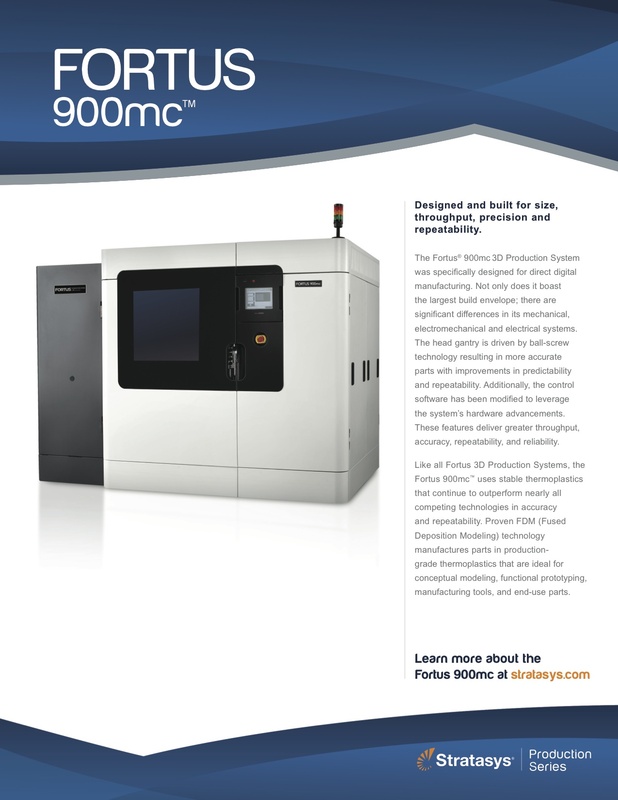 The Fortus 900mc is the most powerful Fused Deposition Modeling (FDM) System. It&rsquo;s remarkably agile, accurate and cost-effective. 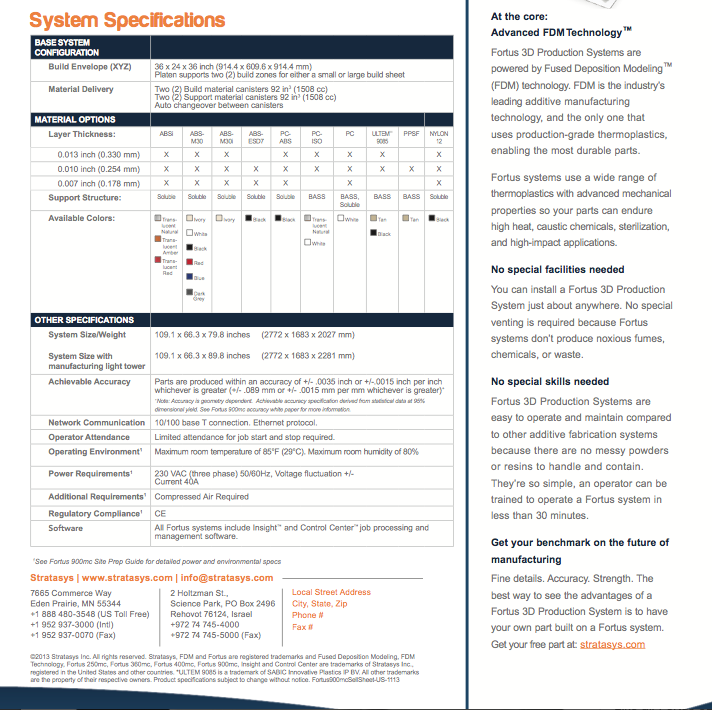 Two big advantages: all the material options of the Fortus line of 3D Production Systems, and a massive build envelope. Its only competition is the old way of doing things. The Fortus 900mc 3D Production System builds durable, accurate, repeatable parts as large as 914 x 610 x 914 mm (36 x 24 x 36 in.). With nine material options, it&rsquo;s suitable for building fixtures, factory tooling and end-use parts, as well as the most demanding 3D prototyping. This machine features two material bays for maximum uninterrupted production. Materials include high-performance thermoplastics for biocompatibility, static dissipation and resistance to heat and chemicals. With three layer thicknesses to choose from, you can strike just the right balance between fine feature detail and FDM&rsquo;s fastest build. Fortus 900mc throughput is more than twice that of the Fortus 250mc.